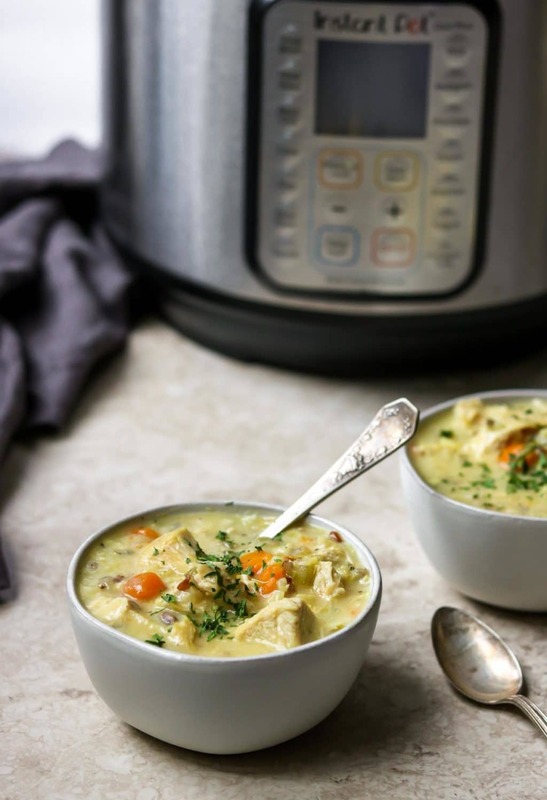 This is a delicious Instant Pot Chicken & Rice Soup recipe that is easy to make and makes a perfect weeknight dinner. 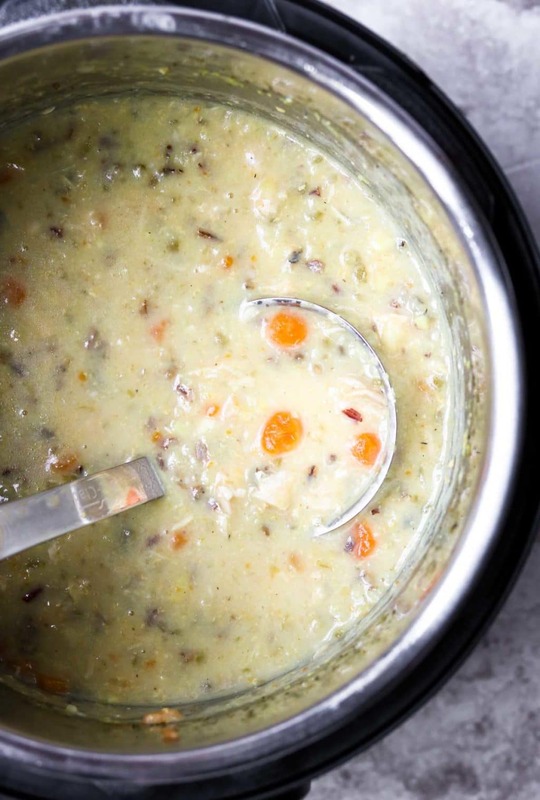 This Instant Pot soup recipe has a flavorful broth with tender pieces of chicken and wild rice. Cream of mushroom soup and milk are added at the end to make this Chicken & Rice soup slightly creamy. If you need a super easy weeknight dinner recipe that tastes great and is family friendly, look no further! You can have this on the table in 30 minutes, yet it tastes like it cooked all day. 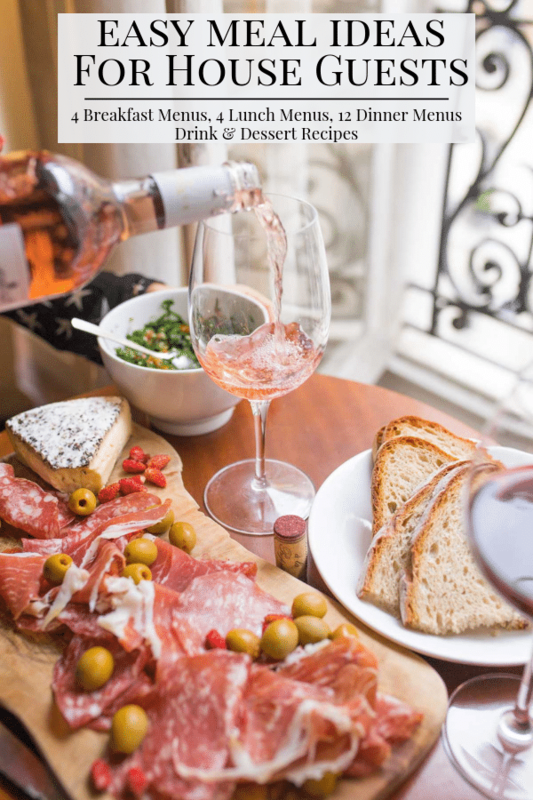 The best thing is you do not need to plan ahead for this recipe. No need to thaw your chicken breasts. Your frozen chicken breasts will cook up perfectly in this Instant Pot recipe, in just 14 minutes. This is a great recipe to plan for a family of picky eaters. There are no crazy ingredients or spices that will make your kids say “what’s in here? !” and then ask for a second dinner. It is a simple recipe, with simple flavors. Broth, chicken, carrots, celery, onions, garlic, wild rice, milk, and cream of mushroom soup to make it a little creamy. This is not an entertaining recipe, just a great weeknight family dinner recipe. 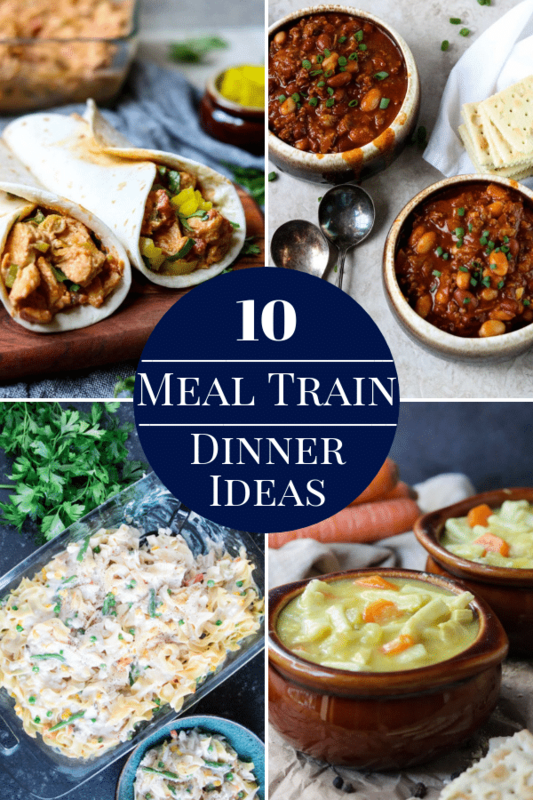 But, it does make an excellent soup for a meal train! 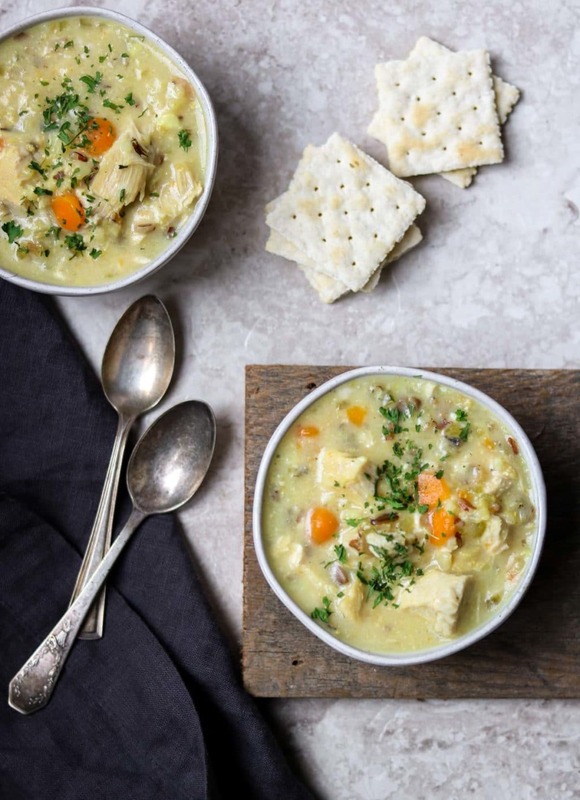 Since this soup recipe already has your starch, protein, and veggies I would keep any side dishes simple. A raw veggie tray with dip, saltine crackers, or a green salad would complete this meal perfectly. If it is a busy night (when is it not! ), serve this by itself. 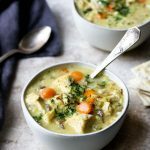 I hope you give this recipe for Instant Pot Chicken & Rice Soup a try in your kitchen! SAVE THIS FAMILY FRIENDLY SOUP RECIPE HERE. 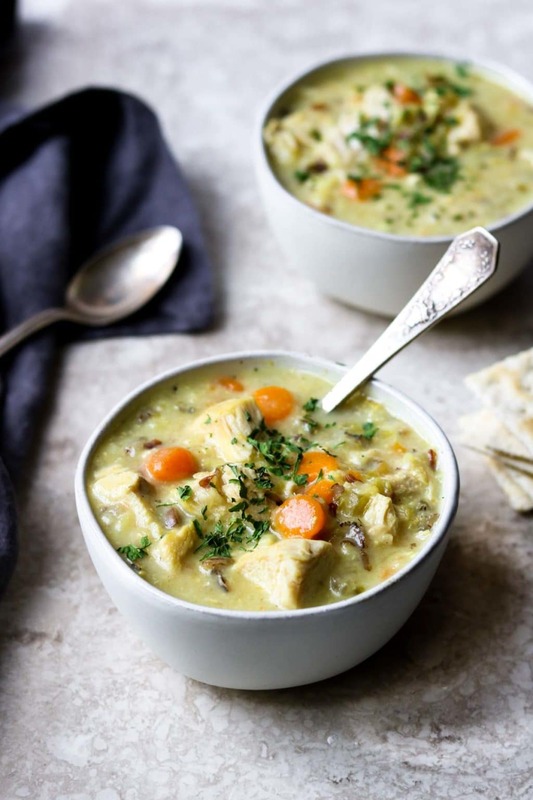 A hearty and slightly creamy Chicken & Rice Soup made in the Instant Pot. 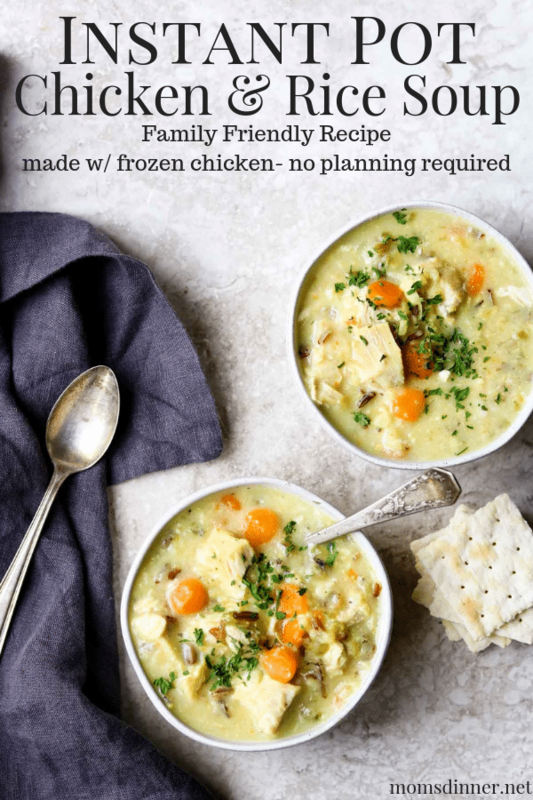 This is an easy weeknight family dinner recipe because it is made with frozen chicken breast and is ready in under 30 minutes. No thawing or planning required! With the Instant Pot on saute mode add the oil and saute the onions, garlic, celery, and carrots for 5 minutes. Add the turmeric, garlic, and onion powder, salt, pepper, and optional chicken base or bouillon cube. Stir to combine with the veggies. Turn off the saute mode. Pour in the chicken broth, add the chicken breasts, and wild rice. Set the Instant Pot to Meat/Stew mode for 14 minutes. Meanwhile whisk together the cream of mushroom soup and milk. Set aside. Once the soup is done cooking do a quick release. Remove the chicken with a pair of tongs and chop into bite size pieces. Stir the mushroom soup/milk mixture into the soup. If you use fresh boneless skinless chicken breasts follow all the same instructions, however, lessen the cooking time to 12 minutes. Easy to make on the fly! Thanks! This looks so creamy and delicious! Perfect comfort food. I ❤️ this soup! So delicious!! 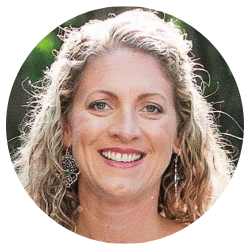 Instant Pot is a miracle maker! 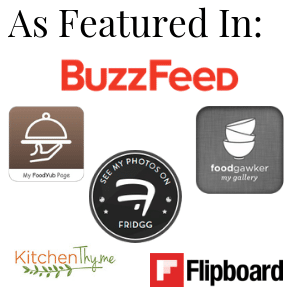 This looks and sounds delicious – I loved that you used a wild rice blend! 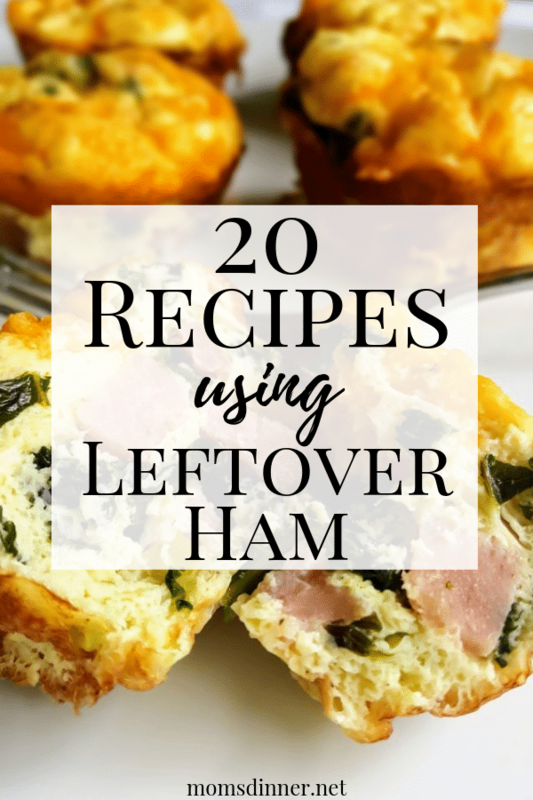 I ate the leftovers for lunch today and it is SOOOO good!